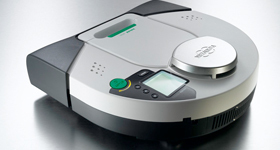 Try our Vorwerk Vacuum Cleaner in the comfort of your own home. 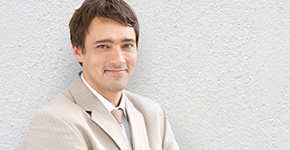 Our expert advisors will personally give you helpful tips and advice. Order Vorwerk products and get them delivered straight to your door with our convenient Online Shop. The Online Shop is open 24 hours for you. Are you looking for a new professional and challenging career where you can influence your own success and income? 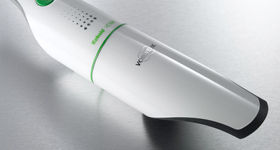 Find out more about the new Kobold VK150 Home Cleaning System. Version 3.1 is available now. Update your Robot for improved performance! "One gadget I can't live without!" TV's property expert Sarah Beeny has lived by Vorwerk for many years. See what she had to say about our products and how they helped with the restoration of Rise Hall. 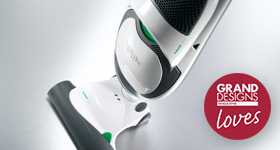 Newsletter: Subscribe to our Vorwerk Kobold Newsletter and we'll keep you up to date.